A day out attending British Water’s UK Forum. A day out at British Water’s UK Forum. Last week, some of our team attended the British Water ‘UK Forum’ event which was hosted by WRc at their impressive facilities in Swindon. This was nurons first event as a member of British water. British Water is a leading association in the water industry, and we are excited to announce our membership. 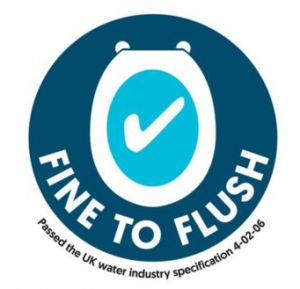 The day kicked off with an introduction of the ‘Fine to Flush’ campaign which is spearheaded by Andy Drinkwater of WRc. You can check out a video here discussing this fascinating topic. WRc’s facilities are perfect for testing products such as tissues and wet wipes to see if they actually dissolve or breakdown within the sewer. Look out for the badge on all wet wipes to see if they have passed the test or not. different types of sewer pipe and materials being simulated with blockages of tissues and wet wipes. The day ended on a fascinating discussion regarding the current and future requirements of the Water Industry and how collaboration is needed to meet the industry requirements. An overarching theme from the day was on data and how data from a number of different technologies have the potential to transform the industry. nurons nervous system has in-built fibre capacity which can be used to network in existing and new telemetry, unlocking the full potential for truly smart networks. We are looking forward to attending more events and building partnerships across the industry.